Immediately upgrading its sound reinforcement capacity, Harman Professional distributor Audio Pro Heilbronn has confirmed a major sale of Crown’s new I-Tech HD amplifiers to German touring company, TDA Rental GmbH. 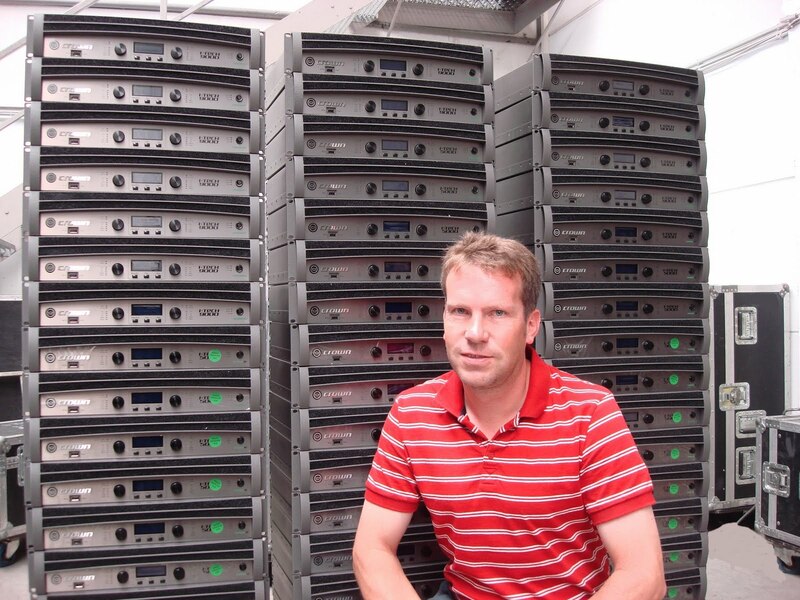 The company has acquired a total of 56 amplifiers, divided between 32 I-Tech 5000HD’s and 24 I-Tech 9000-HD’s. This will add a further 376,000 watts of amplification power to the company’s inventory. TDA owner Stefan Todeskino had been delighted with the purchase. ”These are great amps, delivering a powerful sound, with a superb sounding DSP,” stated Todeskino. Another feature that impressed Todeskino was the flexibility of the I-Tech HD’s, enabling them to be used with all speaker types and in various applications. He notes that control is made easy due to Harman HiQnet System Architect™ software. 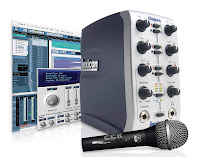 Todeskino, who has a strong relationship with Audio Pro for sales and service, explained the decision to purchase Crown. “We started off with a bunch of Micro-Tech 1200’s which are still used in some rare applications, and later bought Macro-Techs and I-Techs,” stated Todeskino. Founded by Todeskino back in 1986 to offer a wide spectrum of sound reinforcement services, TDA has been using Crown amplifiers since the company’s inception. At the same time, the company has invested elsewhere in the Harman Professional portfolio, purchasing Soundcraft Vi6 consoles to service regular accounts including Joe Cocker, Scorpions, Willy de Ville, well-known German band Wir sind Helden, Deep Purple, Guano Apes, Sisters of Mercy, Nickelback and The Cure. They also have a roster of industrial and corporate clients, including Panasonic, Daimler Chrysler, Sony and Coca Cola. Commented Audio Pro product manager, Carsten Peter, “We are delighted that TDA has chosen to continue its long relationship with Crown amplifiers. TDA is an important partner for us, as the company is regarded as one of the best touring and rental companies in Germany. Many international artists and global players in the industry have come to rely on the technical service of the company for their tours, concerts and events,” stated Peter. I-Tech HD features a new user-inspired DSP engine co-developed with BSS called OMNIDRIVEHD. The new processing engine features Linear Phase FIR filters that offer unrivaled crossover performance for sonically pure tunings. The OMNIDRIVEHD processing engine also features an innovative new suite of limiters called LevelMAX™. Harman HiQnet System Architect™ mirrors the typical browser navigation interface to provide contracting professionals with a familiar interface to access a host of power configuration and control functions. Hitachi Software Engineering America, Ltd., today introduced its new interactive plasma overlay PXDUO-65P, bringing revolutionary interactive technology to broader markets and applications., The plasma overlay transforms a normal plasma display into an interactive multi-touch screen, allowing users to control and navigate applications with their finger, electronic pen, or other object. Featuring a large 65-inch viewing area, the plasma overlay brings unparalleled visual performance and quality to any environment. The interactive overlay uses Hitachi’s DUO technology to create a fast and accurate touch response that allows two users to interact simultaneously. The PXDUO is ideal for boardrooms, distance learning and videoconferences. The user can operate the application with their finger or an object, in addition to the included 3-button electronic pen. The three buttons on the electronic pen can be used to customize mouse functionality as desired. 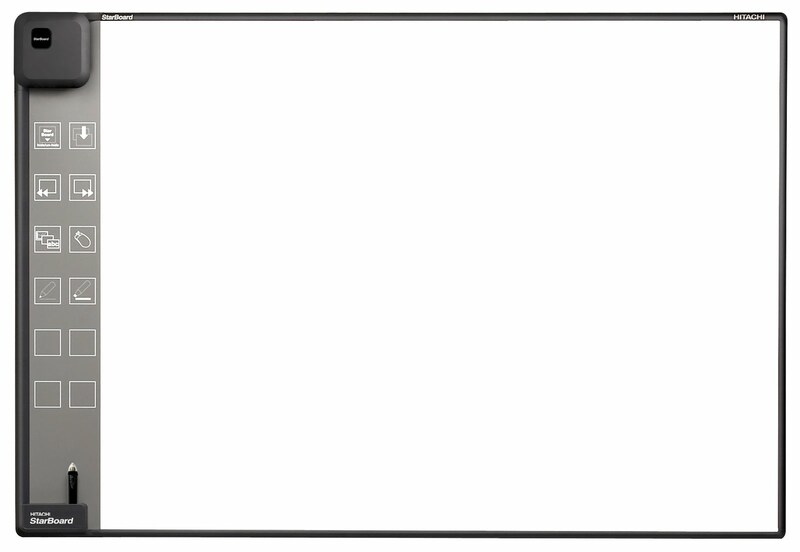 Exceptionally durable, the plasma overlay can handle even the toughest presentation environments with all electronics contained in a replaceable component. The PXDUO-65P also features 16 function buttons, with 14 of the buttons being customizable, making it highly adaptable to the specific needs of each user and their specific environment. 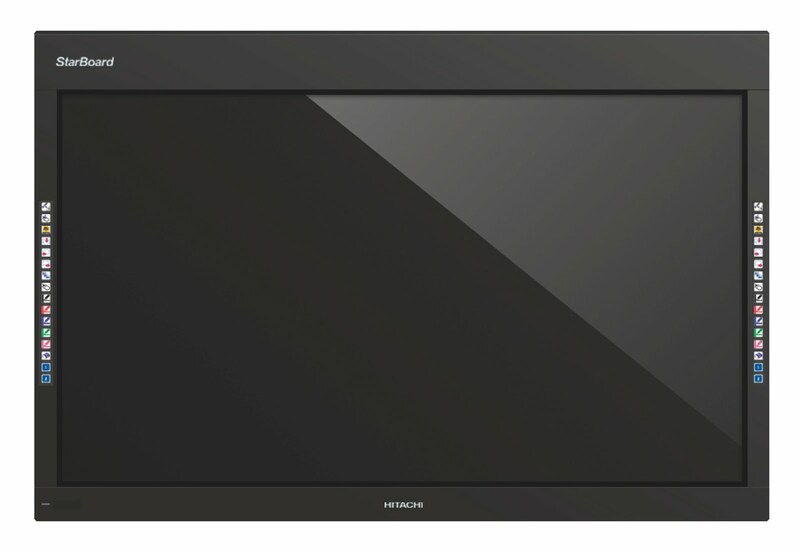 This versatility, combined with the included software from Hitachi’s award-winning StarBoard, enables presenters to run and annotate computer applications or digital video right on the plasma screen. “For users looking to deliver the most dynamic and interactive presentations, the PXDUO-65P offers all the benefits of Hitachi’s groundbreaking DUO technology and industry leading StarBoard software. With the plasma overlay, you no longer need a projector and an interactive whiteboard to experience the outstanding functionality and features,” stated John Glad, product manager, Hitachi America, Ltd.
Hitachi Software Engineering America, Ltd., today introduced the new StarBoard FX-77GII, making its award-winning interactive whiteboard technology more accessible to a larger community of corporate and educational users. Offered at a price point substantially lower than the original FX DUO, the new StarBoard brings all of the capabilities that have been revolutionized by Hitachi, but with interaction facilitated by the use of an electronic pen. Finland’s first installation of JBL Professional’s new CBT100LA column enclosures has taken place in the Latokartano Sports Hall in Helsinki. Eight of the compact passive line array cabinets were specified as part of a complete sound reinforcement fit-out by systems contractor Pertti Krautsuk of Workland. The Sports Administration issued the contract for the technical fit-out once the new building superstructure was complete. “Although the JBL solution was not originally specified, Workland turned to the earlier successful collaborations we have enjoyed with JBL once this became available,” commented Ari Hildén of Harman Professional distributor, Studiotec. In other words, once Krautsuk had been introduced to the new JBL column array it had been a simple decision to switch brands. “Having seen the visuals and specifications [of the CBT100LA] I was certain that this was the correct choice. Having heard the system I have to admit that its performance is definitely superior to the alternative model,” Krautsuk said. As part of the CBT (Constant Bandwidth Technology) functionality, these speakers include a switch that selects either long-throw or mid-throw dispersion patterns. Also standard for the series are “Music” and “Voice” settings (the latter featuring a vocal-presence boost) and Dynamic SonicGuard overload protection circuitry, which combats distortion issues. Despite the inherent reverberation associated with large sports halls, the Krautsuk said the combination of his own experience and the excellence of the speaker design was all that was needed. “By choosing the correct speakers and angling them in the direction where the sound pressure was needed we could avoid projecting the sound onto the walls and ceiling, thus avoiding the normal reflections,” he noted. Numerous portable JBL systems can now be found in Finland’s sporting facilities and swimming pools—in fact, the Latokartano Sports Hall itself also contains a separate gym where Workland have installed JBL Control 28 speakers. 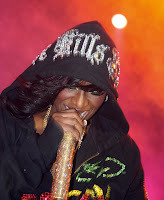 With millions of viewers tuning in to see her perform live on David Letterman’s Late Show, recording legend Missy Elliot used AKG’s wireless microphone to debut her chart topping hit “Get Involved.” Using her crystal stone AKG D 5 microphone, Elliot was able to showcase her Grammy nominated lyrics to a viewing audience of more than three million people without interruption. The performance was the first time that Missy Elliot appeared on the Late Show, adding to Letterman’s star-studded list of past performers that includes Paul McCartney, Janet Jackson, and Bon Jovi. With her D 5 handheld mics, Elliot was able to stand out from past performers thanks to the patented AKG laminated varimotion diaphragm that was able to pick up her most sensitive vocal tones. Also, the supercardiod polar pattern that comes standard on all D 5 mics ensured maximum gain before feedback, allowing Elliot to focus on the show without worrying about the audio quality or unanticipated feedback. The Late Show’s concert was one of the first times Elliot played “Get Involved” in front of a live audience, and she was able to deliver a faultless performance. For the show, she used her own specialized AKG D 5 microphone: a crystal stone-studded handheld with spring steel-wire mesh grill. In a historic two day concert event featuring some of the biggest names in the history of rock and roll, Red Hook, New York-based Fire House Productions provided a JBL VERTEC® line array system with Crown I-Tech HD power amplification for live sound reinforcement at the Rock and Roll Hall of Fame 25th Anniversary Rock and Roll Hall of Fame Concerts on Thursday, October 29th and Friday, October 30th. The event took place at New York City’s Madison Square Garden with proceeds from the show going to benefit the Rock and Roll Foundation. Over the course of the two nights performers included Bruce Springsteen & The E Street Band, Stevie Wonder, Simon & Garfunkel, Paul Simon, U2, Aretha Franklin, Jeff Beck, and Metallica. For the two concerts, Firehouse deployed a PA system that consisted of 18 VERTEC VT4889 large-format line array elements and 12 VT4880A ultra long excursion arrayable subwoofers per side. An additional 14 VT4889’s per side and 14 VT4887’s for front fills rounded out the system, which was powered by 96 Crown I-Tech 12000HD amplifiers. I-Tech HD features a new user-inspired DSP engine co-developed with BSS called OmniDriveHD. The new processing engine features Linear Phase FIR filters that offer unrivaled crossover performance for sonically pure tunings. The OMNIDRIVEHD processing engine also features an innovative new suite of limiters (Peak, Thermal and RMS), called LevelMAX™. As a remote control and monitoring application, Harman HiQnet System Architect™ software mirrors the typical browser navigation interface to provide tour sound and contracting professionals with a familiar interface to access a host of power configuration and control functions. 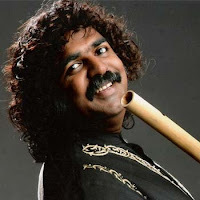 Pravin Godkhindi has been performing in front of live audiences since he was six years old, honing his skills with the bamboo flute as he steadily rose to the top of India’s musical elite. Now, with his own band and a steady line up of live appearances on some of India’s most popular television shows, he uses the AKG WMS 450 wireless microphone system and IVM 4 in ear monitoring system to reliably deliver his award-winning brand of music. Godkhindi was first introduced to the bamboo flute when his father, Venkatesh Godkhindi, began teaching how to play the Bansuri. Since that point, he has been working to create his own unique style of music, blending India’s Hindustani, Caratic, and various types of western music with his fusion band, Krishna. He has been using various AKG microphones and headphones for years - including the WMS 450, the C 520L headset, and the IVM 4 in ear monitoring system- in every live and televised performance. Godkhindi has performed with AKG on various Indian shows airing on ETV kannada channel, including his most recent concert with the legendary singer of South India Dr. S P Balasubrahmanyam. As one of the first Indian bamboo flute players to consistently turn to AKG for his performing needs, Godkhindi has emerged as AKG’s brand ambassador to India. His loyalty to AKG’s brand of products underscores the reliability and dependability that AKG is famous for, and his dedication to their microphones is one of the reasons he has been able to deliver flawless performances time and again for so many years. As 50,000 students from across Southeast Asia flooded into the AIIMS campus for the PULSE festival in September, Asian rock bands Sonu Nigam, Euphoria, and Motherjane were preparing to rock the crowd with AKG’s DMS 700 series digital microphone. Over the next seven days the three bands performed with other Asian superstars using an array of Harman products that included Soundcraft mixers, Crown amplifiers and AKG microphones, provided by Audio Design. The festival, which was co-sponsored by Harman International’s, professional division’s India distributor Hi-Tech Audio Systems Pvt. Ltd., went from September 16th – September 22nd and featured a variety of events that included a fashion show, various dance and singing competitions, a fine arts competition, and multiple concerts. Harman Professional played a central role at each event; whether they were mixing the sound with the Soundcraft MH4 or delivering uninterrupted vocal tones with the AKG’s DMS 700 series digital microphone. AKG was used every day and drew praise from many of the bands who used them, including Sonu Nigam & Palash Sen.
“We selected AKG for its warmth, versatility and reliability,” said Mr. Navneet Wadhwa, Director, Audio Design. “As one of the largest professional rental companies in India, we are very familiar with the sonic integrity and pristine audio quality that AKG is known for, and we knew that it would exceed expectations for both the crowds and the performers. We selected the DMS 700 Digital Wireless Microphone Series with the D5 head. The D5 head has a fantastic gain structure, which in turn gives us a lot of headroom at the mix console and its output is indeed the most natural sounding”. Students from countries all across Southeast Asia came to the show, hailing from countries like Nepal, Bhutan, Sri Lanka and more. There were events held day and night throughout the week, with various food and games continuing everywhere in addition to the shows. Gifts and prizes were handed out to the participants and winners of various events. In a high-profile event showcasing the versatility of JBL VERTEC® line arrays, Meeting Services, Inc. of San Diego, CA handled live sound reinforcement for the AARP’s Vegas@50+ convention. Held at the Sands Expo in Las Vegas on October 22-24, the event featured appearances by celebrities such as Magic Johnson, Jane Seymour, Penny Marshall, Maya Angelou and Martina Navratilova, and included live concert performances by Faith Hill, Kool and the Gang and Gloria Estefan. The system featured four arrays containing eight VT4889 large-format line array elements each, along with two arrays of six VT4889 elements each, with two of the arrays each also including a pair of VT4887A compact line array elements used for downfills. Additionally, two arrays of eight VT4887A elements each were employed as signal-delayed arrays. 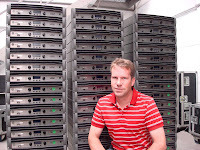 An additional four arrays of eight VT4880 arrayable subwoofers each supplemented the system’s low frequency capabilities. A large number of JBL’s VRX compact constant curvature array speakers were also in use. Twelve arrays of three VRX932 elements were provided as delays in the massive exhibition center, while another five VRX932’s were placed on top of five VRX918S subwoofers for front fills. For side fills, Meeting Services deployed two arrays of three VRX928 elements. Other JBL loudspeakers in use included EON10 portable loudspeakers for backstage monitoring in the common areas, and Control 2P monitors backstage for the technical crew. Two pairs of LSR28 studio monitors were used for front-of-house monitoring. Crown I-Tech HD amplifiers powered the primary VT4889 line arrays, with Crown I-Tech amplifiers in use for the rest of the system. The entire sound reinforcement package relied upon Harman’s HiQnet System Architect™ software for remote control and monitoring functions. The MSC1 optimizes studio workflow and tunes any speakers in the room. JBL Professional announced delivery of the MSC1 Monitor System Controller, bringing convenience and greater accuracy to audio production rooms at a most accessible price point. The MSC1 Monitor System Controller includes features found in large mixing consoles to control essential monitoring functions from the mix position. Since acoustic issues in the room can compromise the quality of the mix, the MSC1 includes the new 3rd generation of JBL's highly acclaimed RMC™ Room Mode Correction Technology that tunes the monitor system to over come low frequency room problems that can affect the quality of the mix. The affordable MSC1 works with any speaker system, and is the perfect add-on to JBL’s new LSR2300 Series studio monitors. The MSC1 is available through JBL Professional dealers at a manufacturer’s suggested retail price of $375.00 US. 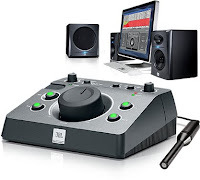 The MSC1 provides the ability to monitor up to three 2-channel input sources, such as a mixing console, computer workstation, and personal music player while controlling the volume of the monitor system and connected headphones. The MSC allows connection of two sets of speakers and a subwoofer. The primary “A” speaker outputs include user-defined monitor EQ and JBL RMC to tune the system to the room. The subwoofer output has its own level control, selectable crossover settings and RMC to perfectly blend a sub with the “A” speakers. The “B” speaker outputs allow connection of a second set of studio monitors. Included MSC1 Control Center Software allows access to user-adjustable settings including speaker equalization, subwoofer crossover frequency, subwoofer polarity and level, and fine-resolution delay that can be applied to compensate for variations in speaker and subwoofer distance relative to the listening position. Since much of today’s production is carried out in rooms with less-than-perfect acoustics, the MSC1 Monitor System Controller includes JBL’s highly acclaimed RMC Room Mode Correction Technology. RMC measures the room and automatically tunes the speakers to compensate for low frequency anomalies caused by room modes, proximity to walls and the work surface. RMC calibration is simply carried out using a supplied calibration microphone and MSC1 Control Center Software. During the RMC calibration, the software measures the room, calculates and downloads corrective filter coefficients to the MSC1 and balances the primary speakers and subwoofer within a 1/4 dB of each other. Following calibration, the MSC1 operates as a stand-alone unit without the need for connection to a computer. 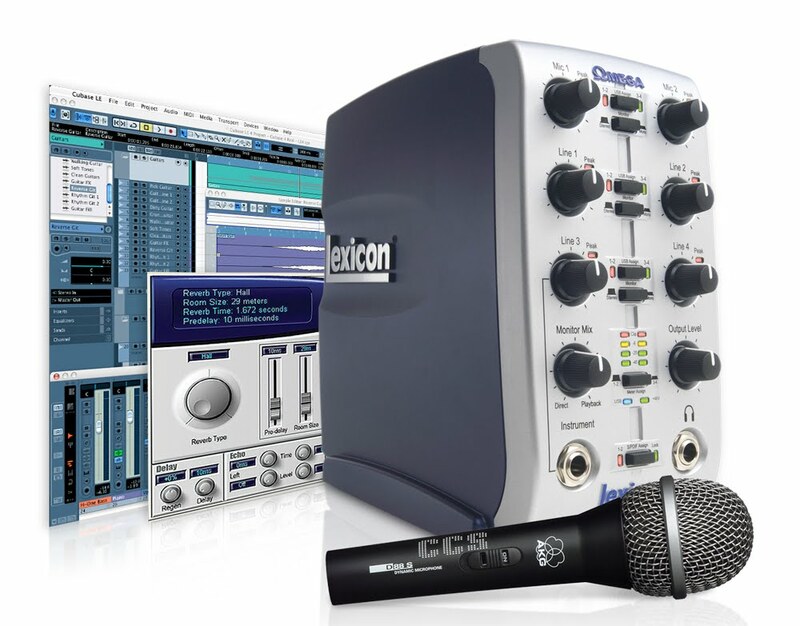 The MSC1 ships with Windows XP and Vista-compatible software. Macintosh-compatible software will be available spring, 2010. 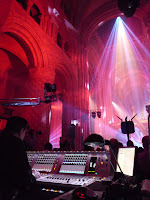 Sting recently performed two intimate concerts at the Durham Cathedral in northeast England, marking the first time the legendary musician played selections from his upcoming album, “If On a Winter’s Night…” Sting recorded the performances live for DVD release and audio supplier Audio-Rent Clair provided the sound system for the event, which included a Studer Vista 5 SR digital console for front-of-house mixing. Sting’s performances featured an unconventional setup of Sting with a 16-piece string section, multiple percussionists, a brass section and backing vocals, as well as a large selection of traditional English instruments such as the Welsh harp, lutes and Northumbrian pipes. Rehearsals took place over a 2-week period in the “Chapter House” adjacent to the main cathedral. Howard Page, Clair Senior Director of Engineering, mixed the performances, utilizing the Vista 5 SR to overcome the challenges of a 62-input orchestra in a cathedral setting. “The transparency of the Studer Vista 5 SR was certainly a great help to achieve a breathtaking experience for the invited guests,” Page said. The compact Studer Vista 5 SR digital mixing console is a road-ready version of Studer's famous Vista 5 console and combines award-winning Vistonics™-based technology with a highly cost-effective price. The Vista 5 SR comes with preset configurations for front-of-house and monitor use. A stand-alone Config Editor tool allows the channel/bus structure to be customized, all of which can be saved for each particular show setup and instantly recalled from memory or a USB stick at a later date. The expandable I/O system allows the entire range of available Studer D21m Series I/O cards (including CobraNet and Aviom A-Net) to be added to the system. The MADI standard is used as optical snake link from stagebox to FOH rack, with the possibility to add a redundant snake for increased security. The Vista 5 SR also comes with numerous facilities to aid production, including Studer’s proprietary VSP panning system, which can be used to great effect to control panning without level shifts. CHULA VISTA, California, November 3, 2009 – In an effort to provide increased interactivity and an enhanced learning experience with the award-winning StarBoard, Hitachi Software today announced the addition of 500 new lessons to its online library of educational software. The new lessons are available immediately for all StarBoard users. Encompassing grades K-9 and covering math, language arts and science, the new lessons are designed to take full advantage of the FXDUO technology. Hitachi Software’s library now features nearly 1,000 unique lessons in the major subject areas. Educators can search through the database of lessons by grade, language and state standards to find specific lessons that fit their needs. The new lessons are available through the online Hitachi Educator Resource Center, including all available StarBoard lessons, software tutorials, the StarBoard Community Forum and links to interactive sites for classrooms. “We are proud to provide our end users in the education market with more tools than ever before so they can take full advantage of the StarBoard’s industry-leading technology. We believe these additional lessons will lead to greater efficiency for teachers and help to keep students more engaged in the learning experience,” stated John Glad, product manager for Hitachi America, Inc., Business Group. Further engaging educators and empowering them with the capabilities of Hitachi StarBoards, Hitachi now also offers the capability for anyone to upload their lessons and share with the global community of StarBoard users. To access all available lesson content, please visit Hitachi online at http://www.hitachi-soft.com/. CHULA VISTA, California, November 6, 2009 — Hitachi America, Ltd., Digital Media Division, Business Solutions Group, has appointed Jon Beachdell as Northeast regional sales manager. Mr. Beachdell brings more than 10 years of experience in video, audio and presentation products for education, corporate, security and broadcast applications. 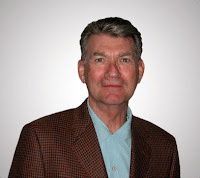 Mr. Beachdell joins Hitachi from AVRover, where he served as national sales manager. Prior to his position at AVRover, he held the position of Eastern regional sales manager with Lumens Integration, Inc.
Mr. Beachdell’s responsibilities will include generating sales of Hitachi LCD projectors and working with dealers that serve various markets throughout the Northeast, including education, houses of worship, government, corporate and SOHO (small office/home office). Due to the ease of installation, intuitive operation and affordability, Hitachi projectors offer the lowest cost of ownership in the industry.